Satisfied and disappointed at the same time, it’s a good result but I hate to break my winning streak in Carson City😢 All in all a good day on the bike, just like Epic Rides promises! I dedicate nearly all of my race Season to Enduro and XC Racing. So when I have an opportunity to compete in a road race, I need to capitalize and get the best result possible! Out of the 13 USA Cycling sanctioned road races I have competed in during the past 2 years, I have been involved in 5 crashes. 3 of which occurred in the last 7 days! The first crash I was caught in was the 2015 Bariani Road Race. The crash occurred after racing 56 miles, 300ft before the finish, as a racer in the front of the peloton was blown sideways by a gust of wind, causing a domino effect crash. I instinctively swerved off into a paved ditch to avoid the multi-racer pileup, crashing there. In 2016 during the last lap of the Folsom Criterium, the rider in 5th or 6th position crashed 2 bike lengths in front of me. Causing me to slam on the brakes to slowly ride around the crashed riders. This set me so far back that I had no shot at the win. In 2017 during the Cantua Creek Road Race, the racer in 4th, who was directly in front of me crossed wheels and went down causing me to go over my handlebars. I untangled my bike and had to chase back to the lead group blowing all of my energy. I just caught them before the finishing climb where I was dropped. 5 days later during the Thunderhill Circuit race, on a tight, wet, corner on the last lap, a racer’s front wheel slid out causing a major crash. I again had to slam on the brakes to avoid crashing, setting me far behind the lead group. 2 days later during the Steve Harrison Criterium 2 1/2 laps in someone slammed into my rear wheel going into a corner nearly causing me to crash. The rider broke my rear wheel spoke and damaged my derailleur to the point where I couldn’t shift, and I was stuck in a small gear. I ended up riding to the pit zone and was forced to use a neutral bike throughout the rest of the race. I’ve learned that if I get involved in a crash it is nearly impossible for me to get a points result, which I am seeking in order to upgrade from Category 3. Since I have been caught in so many crashes, I know that in order to avoid being crashed out, I need to stay in safe positions in the peloton and always be ready to react and avoid any potential crashes! Some might think racing 1 hard race a weekend is challenging but doing 4 difficult races in 3 days at the Chico Stage Race is so much harder. 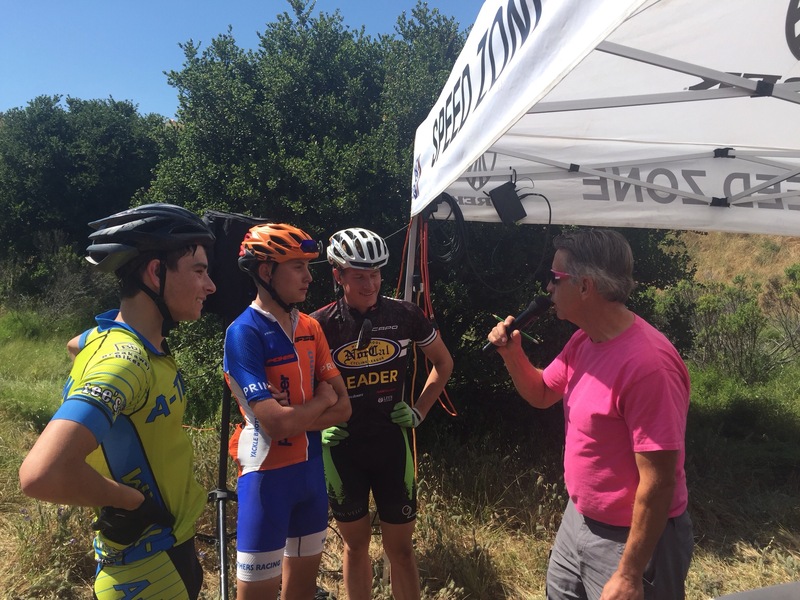 What made the Chico Stage Race so challenging was racing the Thunderhill Circuit Race, Paskenta Hills Road Race, River Road Time Trail and Steve Harrison Memorial Criterium in 3 consecutive days. You have to eat and drink enough before, during and after each race to keep your body performing. Mental and Physical recovery is essential. If you have a physically tough race one day you need to know your body and get the rest you need to recover. Keeping a positive state of mind and knowing what you can do to improve the next day is important if you have a mentality bad race. Racing at the Chico Stage Race was a fun learning experience and a great help for my fitness this season. For the past 3 years I have competed in one of the most amazing race events in America, the one and only Downieville Classic! I fell in love with this event the very first time I competed in it. The Downieville Classic has so much to offer: the two sweet races, the cool activities, the awesome people, and the amazing feeling of being on the podium. At 12:15 I lined up for my 12:24 start. I was the last junior to start, and I watched as my fellow competitors started in 30 second intervals. At 12:23 I move up to the start line as the racer in front of me didn’t show up for their start. GO! I took off at full speed and charged down the course! As I sped down the course, I thought to myself I’m feeling pretty good! It must have been true because within 5 minutes I had caught my first age group race opponent! I quickly caught another one of my competitors as I pedaled with even more drive! Throughout the rest of the race I kept passing racers and crossed the finish line feeling confident that I took the win! After anxiously waiting for 45 minutes the results were posted and I came in second 2 seconds off of first! Dang it!!! That was a disappointment! 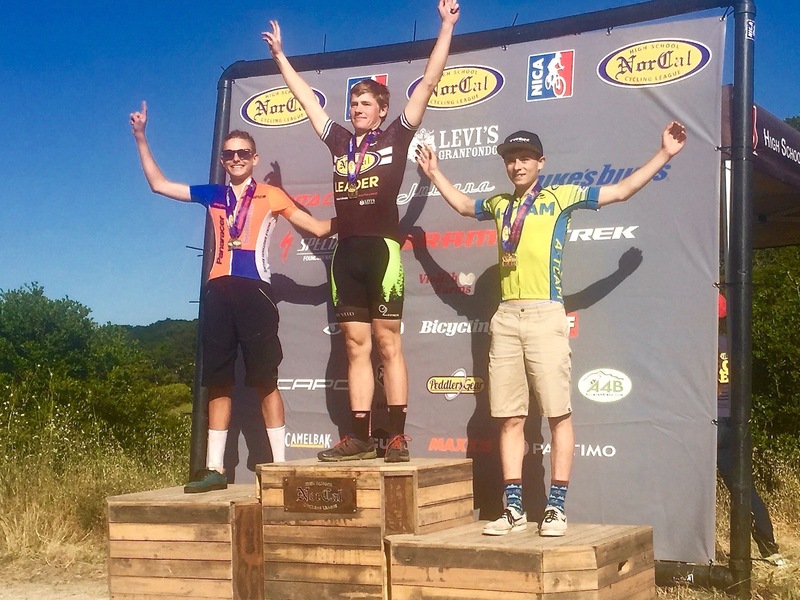 But, even though I was second in the DH battle, I won the war, and was able to claim The Junior Expert U18 Downieville Classic All Mountain “World Championship” Title! Event: The bike racing was amazing, but The Downieville Classic Festival was an equally awesome time! After each day’s race at The Downieville Classic, I wandered the venue that contained bike and component company Booths. I also ran into pro racers like: Carl Decker, Adam Craig and Kelli Emmit. When I became hot I took a trip down to the refreshing Yuba River. While down at the river I relaxed on a tube, walked the slack line and watched the Shimano cast off contest (where competitors try to get a weight into a floating 2×2 square where whoever gets it in the most wins!) I also watched the river jump where competitors ride off a ramp jump into the river. The best trick wins! Finally I played king of the floating box with a bunch of kids, which is just a cooler, more fun version of king of the hill! It was a hard game because getting pushed in the freezing water all the time was not desirable! After I finished hanging out at the River I headed up to the awards area to jump up on the podium with my awesome competitors ! The Downieville Classic Race and Festival was awesome! I had an great time hanging out in the cool town of Downieville, talking to and hanging out with some cool people. I will always remember how I claimed my first Downieville Classic All Mountain “World Championship” Title! I had a great time at the Epic Rides, Carson City Off Road. I had so much fun hanging out around the venue. I loved the fact that the city opened up Mills Park for the racers to camp and hang out at. We had a lot of fun camping and talking with our friend Troy Deibert. The Expo was great!!! The Expo and start/finish were right on Carson St., in Downtown Carson City, NV. It’s been Nevada’s Capitol back to the 1800’s and there are so many cool old, historical buildings and relics. The Expo was right next to the Capitol building and the Governors Mansion was only a couple blocks away. There were bands playing each night, so it was always a happening event. Many of our Sponsors also sponsored the event and set up booths. We saw: Joe from Shimano, Jake from Yakima and Billy at Slime. Friday night the was the Pro Fat Tire Crit. We needed to line up at 6:45 for a 7:30 race start so my parents went and watched but Jake and I hung out at camp to stay off our feet and stay rested for our huge race. I had a blast in the Capitol 50 race. 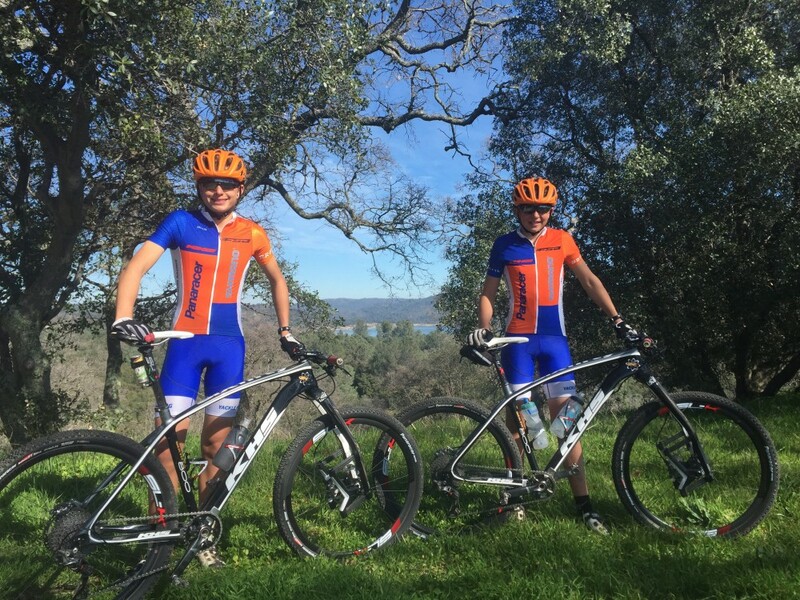 The Kings Canyon climb averaged 10% grade for the first 3 miles on dirt. I was in the third group and in lead for the juniors for the entire climb and race. My dad believes in great preparation so when I went through the Spooner Lake Comfort Station my dad passed me a water bottle. It was obvious most other racers didn’t as I passed several people stopping to fill up. Next up, a 1200 foot climb, up North Canyon Road. It was fast and consistent in the beginning and steep and inconsistent in the end. I rode with two other racers guys all the way to the saddle before Marlette Lake. I welcomed the short descent down to Marlette Lake. As we reached the base of the climb out of Marlette Lake Basin we caught a single-speeder. We hear him sign ”Oh Crap!” as the climb was filled with 18% grade sections. The winds up on Marlette Peak were gusting to 50 mph and that’s exactly where the course looped around!!! Plus there were 2 GIANT snow fields we had to run across. After we topped out near 9000 feet we started descending. There was a technical section where I ran past the two guys to get a big gap. I held it for the next 8 miles on Red Flume Trail and Tanks Road. The next section was a super sketchy descent down the (SSHHHH!!!!) Secret Trail. Seldom used, the first 20 riders created a 3 inch wide rut in the soft dirt the whole way down. I could see tons of places where racers lost it and flew off the trail. Racing Enduro for the last year has honed my technical skills so I stayed on two wheels. I reached the Ash To King Canyon Trail I knew it was going to be tough because a 4 mile, 1200 foot climb lay before me. About halfway up my pace slowed a bit because the previous 40 miles were beginning to catch me. Shortly after 2 men passed me, I tried to hang on their wheels but I didn’t have enough gas. When I reached the top I rejoiced! I went in Enduro mode down the 3.1 mile singletrack descent and 2 miles of fire road after that. When I reached the 2 and 1/4 miles of pavement remaining I time trialed to the finish. Race Time: 4:14:09 and Outcome: 1st in the Juniors 18 and Under and 22nd overall. Jake impressed us all and won the overall Amateur class. Thank you Mom and Dad for all of the support out on course, I know no one else that covered 3 out of 4 Comfort Stations. Thanks to my sponsors for the support!!!! After the race we had lunch with Troy at Reds 395 Grill near the venue. It was decorated with tons of pieces of history. We watched Finish of the Pros race Sunday and saw: Geoff Kabush, Todd Wells, Russell Finsterwall, Katerina Nash, Rose Grant and Amy Beisel take the top steps. The Carson City Off Road was a awesome event, I’m so proud of my race and the results I achieved and I had so much fun. I can’t wait to come back next year! This 2016 NorCal High School League Season has been a wild adventure! Not only did I have a lot of fun racing, I also really enjoyed hanging out and joking with my friends, making new friends at all of the races, and helping NICA get more Kids on bikes! 2016 was my first year racing in the ripin’ fast Varsity class! It has been a awesome racing experience to say the least. In the first 2 early season races I learned how fast the varsity class really was, as I challenged myself to hang with the leaders for just 1 lap! Living at high altitude in Nevada I knew we weren’t getting the same Winter training conditions as racers in California, but I felt that my fitness and strength would come better the further into the race season. At the 3rd race my new training regiment finally payed off and I was able to take a 2nd place which filled me with confidence for race #4. At race #4 the race leaders put the pedal to the metal making for an extremely fast race, they put a pace so fast that I was dropped on lap 3. Dang it! In the end I came in 5th in after a sprint finish! More motivated than ever I trained with renewed energy for two weeks for the conference championships. Conference champs was another hard race but I felt stronger than I had thought the entire season! I was actively pushing the race for 3 laps, then on the the fourth lap my chain dropped twice! Near the end of the 4th lap, after having a 40 second deficit I’d fought my way back up to the second place racer! Though, on the 5th lap I finally ran out of gas and and lost the second place racers wheel. In the end I came in a solid 3rd place. After finishing conference champs in 3rd and taking 2nd in the series, I was super excited for the state championships! The state championship race was SO fast! On lap 1 three SoCal racers layed the hammer down and broke away within the first couple miles, and behind them were two NorCal racers. So for the entire race me and another fellow NorCal racer chased the top five racers for a shot to get on the podium! In the end we just couldn’t pull it back and I came in 7th. Although I was somewhat disappointed, I realized that being just 15 years old and taking 7th in The California High School League State Championships, Varsity Class is pretty sweet! This season of the NorCal High School League was awesome! I’m super excited for next year! I’m looking forward to seeing my friends again, and I have my goal set on winning The State Championshp Title! 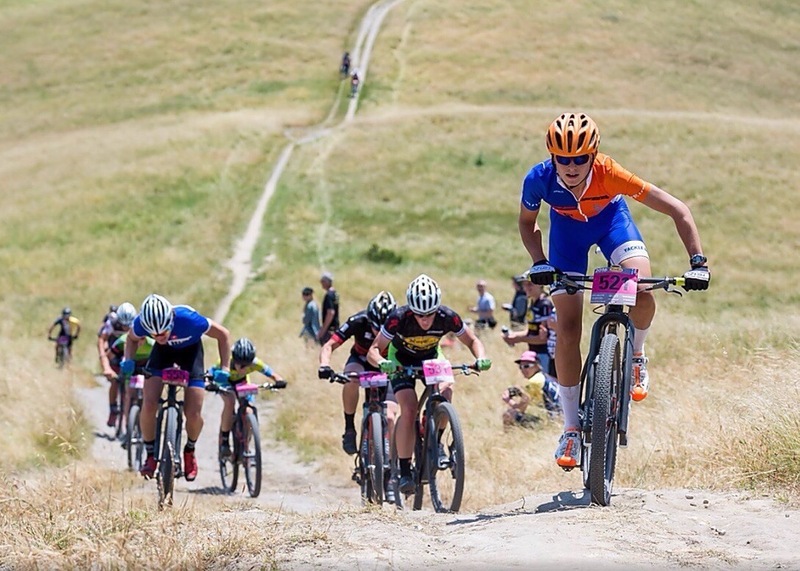 Racing the NICA NorCal High School League this year was great. One of the many reasons I love the High School League because I got to meet and hang out with so many kids. At the first race alone I made over 10 new friends. I am a lot less nervous at the start because my friends talk and joke with me. The League was great in getting lots kids on bikes. It is really inspiring watching K.C. Fontes tearing it up with one leg! All of the races have been super fun and great experiences. The first race was extremely hard, I tried to hang with the leaders but they were too strong and I placed 4th. Race #2 was Epic! I had a decent start in 7th. Throughout the race I passed kids until I caught 3rd place. It came down to a sprint but I was crashed into the fence and I ended up in 4th because of it. The third race was similar to the first but at the end two kids I was beating passed me and placed ahead of me in 3rd and 4th. Race #4 was a lesson and it showed me what I needed to work on. At Conference Championships I was so motivated. I really turned myself inside out to keep my 3rd in the NorCal Freshman Season Point Series. I met my goal by placing 3rd in the Conference Championships. The California State High School Championships was my favorite event! I loved the fact that so many High School family’s camped and we all socialized. There was so many people camping it was about a 1/3 of a mile long and 1/8 of a mile wide. The course was great and I had so much fun racing! As a 14-year-old, I wanted to podium but placing 6th against the best 15/16 year olds in the California, the most populated State in the Nation, was a great accomplishment! This year’s NICA High School League was so Unique…Epic…and…Awesome!!! My goal for next year in the High School League is to get a Junior Varsity Leaders Jersey. I can’t wait for next year!! !